A playing surface designed for the drummer of the 21st century. 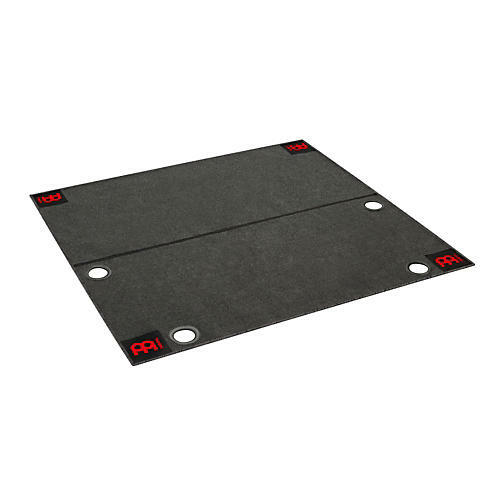 The E-Drum Rug from Meinl was designed especially for the needs of e-drum players. This mat has four port holes to keep your footprint tidy and free of cable "spaghetti" and features weighted corners to ensure a flat surface. The foldable rug is sizeable at 4.9 feet x 5.25 feet, so it won't be outsized by traditionally compact e-kits. Includes a transportation bag.